“Simon Hudson, Chief Stonemason at Hereford Cathedral talked about his own personal background in this ancient craft trade and about the two stonemason apprentices that the Company had helped support over the last four years. He fell in love with the profession and over the years became very skilled. He now has the never ending task of maintaining one of the Countries most magnificent Cathedrals. The Charitable Trust has had a very successful relationship with Salisbury Cathedral in supporting craft apprentice work, and based on that experience was able to offer help to Hereford Cathedral Stonemason apprentice Alex Curtis, some four years ago. 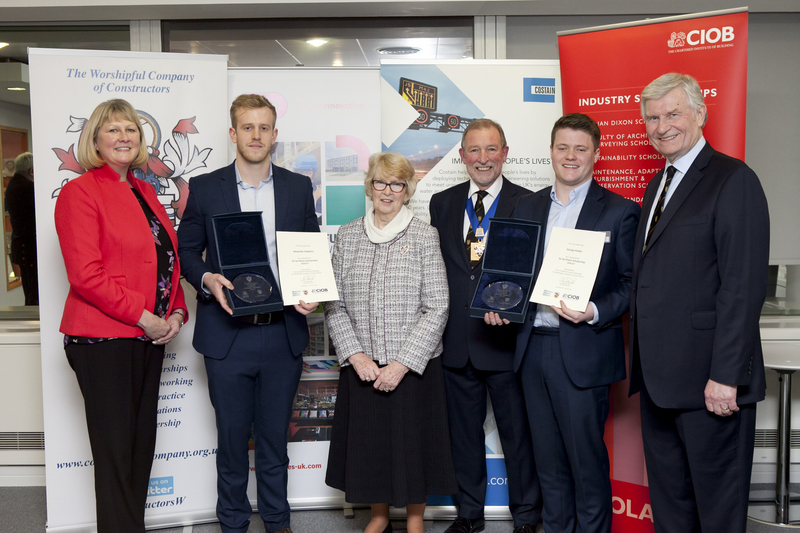 Alex proved to be an outstanding craftsman and qualified as top apprentice at Bath College that he attended two days a week, he also won a number of awards for his work. Alex is now working on the Palace of Westminster. Max Cotterill is the current apprentice that we are supporting, he is in the final year of his training and is also proving to be an outstanding young craftsman. He was recently commissioned to undertake a piece of work for the Prince of Wales which will be placed in the garden at Highgrove. 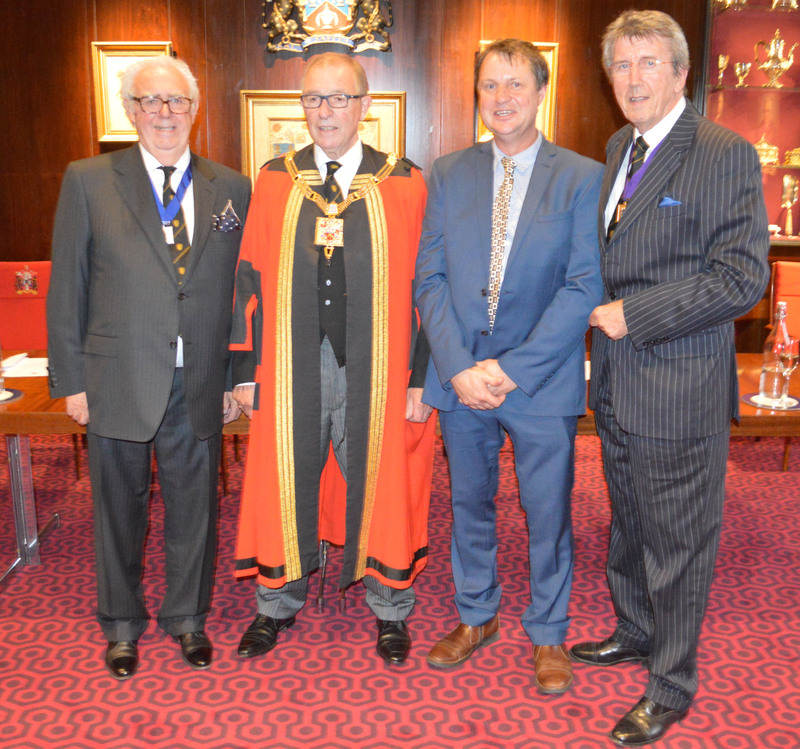 The photograph shows Simon, who was accompanied by his wife Beth with the Master, Ken Kent Chairman of the Charitable Trust, and PM Doug Barrat Trustee of the CT.